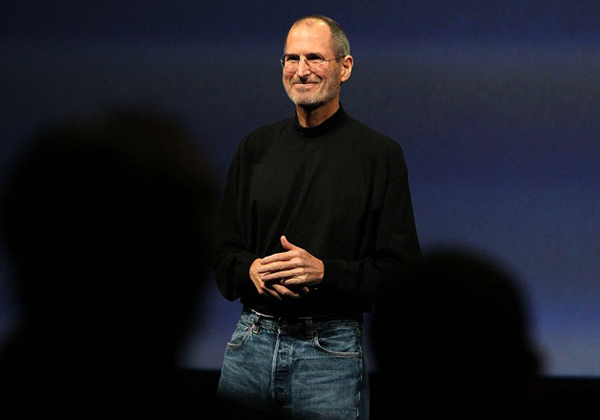 Steve Jobs forever will be remembered as a digital visionary – he was the one who brought poetry to the microchip. He is a legend these days. All of us can’t be Steve Jobs, but we can learn some lessons from his extraordinary life and career to parlay them into the photography business. Steve Jobs took a near-bankrupt Apple and turned it into one of the most profitable and successful companies in the world. He became a legend in the digital industry, despite the fact he was not an engineer, he could not write even a line of code, he didn’t have an MBA, and he didn’t even have a college degree. But he was a great marketer. He created products that became global trends. Thus, let’s get closer to ten marketing lessons you can learn from Steve Jobs for your photography brand. From the performance of Apple’s product, to its design, and the beautiful box it comes carefully wrapped in – when you buy the device, you know exactly what to expect. For Steve Jobs and his team, quality comes first, but not just attractive packaging or tricky marketing strategies. The key is that product is excellent. Kawasaki, an evangelist at Apple, once said, “What Steve did that few marketers understand is that he first created a great product. It’s hard to market crap. Most marketers take whatever crap is thrown at them and put lipstick on the pig. Steve’s ‘secret’ was to control the product and the marketing, not just the marketing.” So, try to focus on the quality of your photography and other services you provide, so that people know what to expect and tell others about you. One of the secrets of the popularity of Apple’s products is simplicity. When you make it simple, make it even simpler. Starting with user experience to perfect aesthetic design, Steve and his team created simple products that everyone can use, despite age and education. 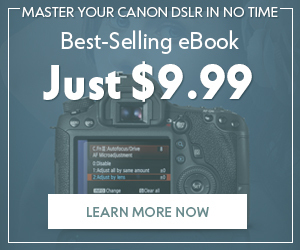 No matter what you do, take the next big photo shoot or build your photography website. Keep it simple and minimalistic, and it will always work for you! Just take a look at Apple’s site to understand what I mean: simple layout, attention to details, a lot of white space and trendy flat design. I know you have heard it a lot of times, but less is more! In the package with Apple’s products, a consumer always get even more: he gets a personal experience that’s much more important than the product itself. There are a lot of similar products on the market: tons of different smartphones, music players, and tablets, but people choose the ones that carry Apple’s logo. For Steve Jobs, consumers were not just consumers, but people first. His products are meant to help them achieve their dreams, ambitions and goals. One of the greatest examples of this statement is the iconic commercial Apple launched in 1984, which is based on George Orwell’s novel, Nineteen Eighty-Four. It was revolutionary and innovative for its time; actually, it was ahead of its time. The motto says “And you’ll see why 1984 won’t be like 1984”. Apple products are focused on personality and individual approach. Even the prefix “i” in the name of the products (iPhone, iPod, etc.) communicates emphasis on personality. 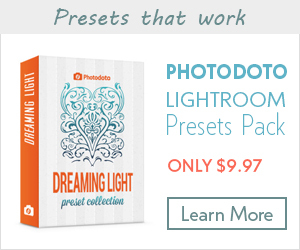 You can use this marketing trick for your photography brand, too, emphasizing that your photography could highlight the personality of each person you shoot! There are a lot of ways to give emotions to your clients. For instance, sending small Christmas gifts to your clients with their photos on them (such as fridge magnets, key chains, postcards) causes positive emotions. Also, “thank you” cards after each photo shoot work. You’re able to influence people’s emotions, so why not to turn it into an advantage for your photography business? 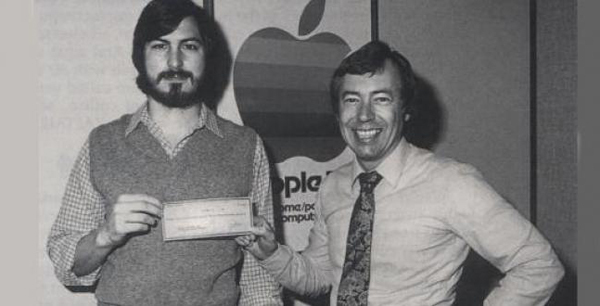 There is a well-known picture from 1977 where Steve Jobs is holding a cheque for $200,000 which they received from their investor Mark Markkula. The first step in this process was convincing the Valley’s premier publicist, Regis McKenna, to take on Apple as a client. (…) McKenna’s two specialties were doling out exclusive interviews with his clients to journalists he had cultivated and coming up with memorable ad campaigns that created brand awareness for products such as microchips. A good marketing campaign is also important while selling any product or service. Write guest posts to share your experience with other photographers, build your authority, and pay attention to social networks. Communicate with your past and potential client through the web. Make your name work for you after you make the perfect product, no matter what it is: a donut or photography. Steve loved his job, his company, people he worked with, and the products. Of course, he became a billionaire when he brought Apple back from the brink of bankruptcy. He would not have done anything else. Apple was his calling and passion. We all have bad jobs at some point in our lives. You should have courage to leave them to follow you dreams. Life is too short to spend it on things you don’t like. Life does not go on forever (look at Steve Jobs), so get on your path right now! If you do love photography, keep doing what you love, no matter what other people say, and sooner or later success will come to you. Jobs was a showman by nature, and he loved take risks. The commercial “1984” I was talking about above was one of those big risks Steve took and won. He hired Ridley Scott (the director of Alien and Blade Runner) and spent $900,000 making the 60-second spot and $800,000 to run it one time during the Super Bowl. It was not clear that time the ad would be successful. But if paid off! The commercial was so revolutionary that the media even covered it as an event! In the end, the ad generated as much coverage as Macintosh itself. These days on Apple’s website, the company tries its best to say things just in a few words. Sure, it could be taken as Apple’s striving for simplicity in everything. But that’s also because Steve understood that images are much more powerful storytellers than words. And the photography business is one of the best areas to use this rule, as photography is your main asset. 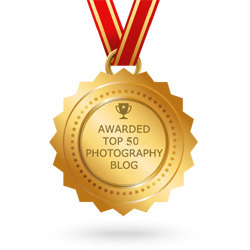 Place the photos you’re proud of on your personal portfolio…no mediocrity for Pete’s sake! Work on quality, not quantity. As I said above, make a good product. It’s the best way to impress your clients and build an audience. One of the examples of the images that’s worth a thousand words is the presentation of Macbook Air. Jobs just came out on stage with an envelope and took out a slim laptop out of it. Listen to the crowd’s reaction when he got the notebook out of the envelope. This simple gesture blew people away and said way more about the product than a lot of words ever could. So, keep it simple, and show off your work. Photography is all about images, not words. In other words, failures are the way to progress. If things go well all the time, a person has no reason to move forward and change things, work and create something new. There are a lot of examples in history when successful and famous people were not recognized first. It’s life! 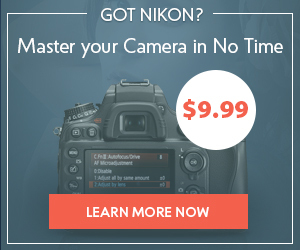 This is especially concerning the people who are hesitant about being a full-time photographer. You never know before you try. As we all know, Apple was not the first that invented a smartphone, MP3 player, computer or tablet. But they redefined these products! Despite the other competitors in the market, Apple took the same products and improved everything: navigability, user experience, design, weight, and packaging. They had achieved better design and size. It’s the same with photography. 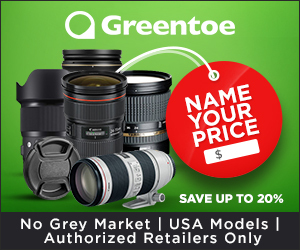 The photography market is really competitive and risky. But your goal is to create something unique and simple, and then promote it correctly. The biggest things were created from ideas of other people. I’m not talking about plagiarism or taking someone’s idea as your own. Don’t be afraid to reinvent and redefine something that already exists. Steve Jobs was one of the very first people who showed the importance of personal branding in the Internet age. His black turtleneck is as instantly recognizable as the Apple logo. After you start selling some product or service, you automatically turn into a part of the brand. If you want people to know you, they have to see you first. Choosing a good photo of yourself and constantly using it everywhere (for example, on your personal website and across various social media accounts) is the easier and most effective thing you can do now to provide a foundation of your personal branding. Life is too short: Do what you like and follow your dreams! 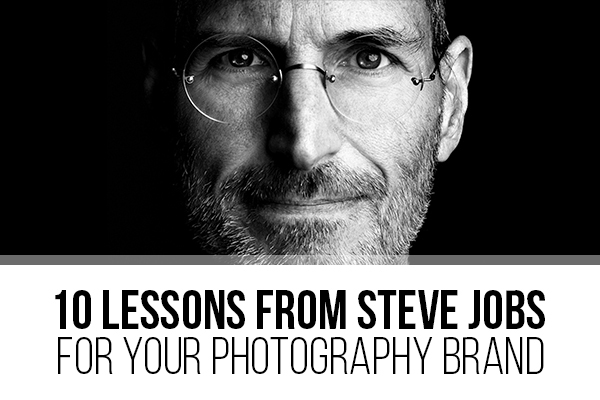 I hope these lessons from Steve Jobs will help you to build a strong photography brand. Share your ideas and thoughts in the comment section below.